West Midlands MEP James Carver has reacted angrily to the government’s failure to fight for the country’s ailing steel industry. He spoke out after the news that steel processing firm Caparo, which has operations in the West Midlands, has gone into partial administration. “It is not yet totally clear which parts of Caparo are affected and obviously I am particularly concerned about the potential impact on my constituents,” said Mr Carver, UKIP Euro-MP. “But is the wider, currently bleak, future of the UK’s once mighty steel industry and the government’s ineptitude in protecting it that angers me. They should have struck when, literally, the iron was hot, and fought for our steel industry instead of standing by and letting it die throwing thousands of workers on the scrap heap. “The dumping of cheap steel from China has played a role in the situation and David Cameron, who is meeting the Chinese President Xi Jinping this week must tackle the issue with him as a matter of urgency. “We are building closer and closer trade and business ties with China. That may or may not be the right course but it must not be at the cost of British jobs,” said Mr Carver. “Other important factors that have led to this sorry state of affairs are the high cost of energy caused by Green levies and Climate Change legislation, and EU rules on state aid. These have bound the hands of our MPs and demonstrate just how impotent we are while remaining a member of the European Union,” he added. 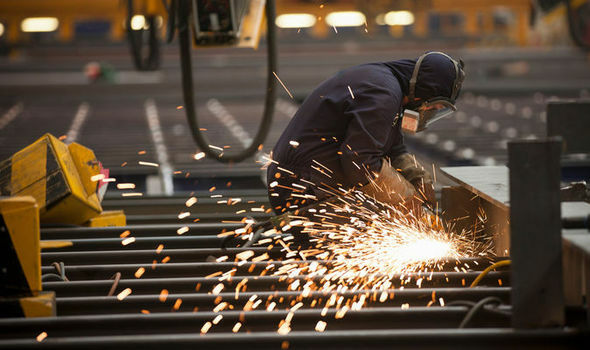 ANOTHER 3,000 British steel workers are to lose their jobs, as Tata Steel confirms cuts and Caparo Industries is set to file for administration. The thousands of jobs that are being lost are all highly paid manufacturing jobs that will be impossible to replace with jobs of a similar quality. Additionally, the figure of 3000 on top of the 2000 at Redcar are not all the jobs that will be lost as there will be 1000s of jobs in the support and supply industries that are associated to Steel that will be lost. Cameron and the EU will do nothing to prevent this scandalous situation.